Details of the second “Piramekid” DVD have been released at the “Piramekiino” discography section at the Yoshimoto R and C website. The second DVD in the series will be released on 5/25 and contain episodes 8 through 14. 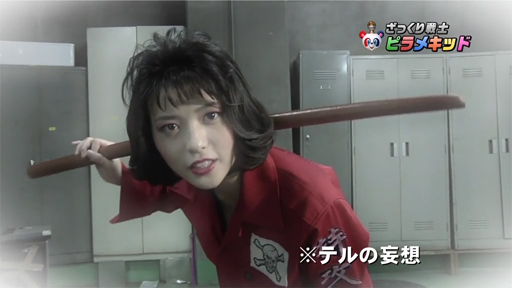 For those who are unfamiliar with “Piramekid”, Maimi portrays the character Momokawa Momoko. Momoko is short-tempered and quick to hit those who raise her ire with her pink harisen, but reveals her softer side whenever her love Piramekid shows up to save the day. Posted on March 23, 2011, in News and tagged Yajima Maimi. Bookmark the permalink. 3 Comments. At least we still have the first season to enjoy endlessly!